What are patients saying about Gulfshore Concierge Medicine? The amount of information and quality of answers to their medical questions. And over 96% said they are “VERY Likely” to recommend Gulfshore Concierge Medicine to a friend or colleague. Contact us today to learn more about GC Medicine. Dr. Becker came to our rescue and most definitely went above and beyond her “call to duty” by adding a voice of calm, clarifying issues and orders which might otherwise have been confusing and exercising endless patience with both patient and surrogate. Dr. Becker knew how to thread the multiple hospitals and Doctors and was able to get my cherished Uncle into the hands of extremely capable and well-qualified health care specialists. She followed up on things each step of the way making certain no stone was left unturned and that my Uncle was comfortable with how his “case” was being handled. He recovered beautifully and months later returned to his summer home. Meanwhile, Dr. Becker continued to ask about his welfare and show her concern by checking on his overall health issues. Rarely do physicians in today’s world of medicine spend as much time and effort as Dr. Becker and her staff spent with my Uncle. I will forever be grateful for her input, her hospital visits, and her oversight. I am equally grateful for the myriad appointments facilitated by Dr. Becker’s office staff. Frankly, I am not quite sure what I would have done without the aid of these wonderful people. I hope I never have to find out! Thank You for both moral support and medical expertise! ``I have been a patient of Doctor Hochman's for several years. He has helped me through a complex set of issues. Over the past year my medical issues became even more complex and he has been brilliant and caring in helping me. He returns my calls within a day and I can get in to see him when needed. I was hospitalized for an emergency one Sunday night and he was by my bedside. He has also helped me find specialists in Naples who are also excellent. His staff, Carla and Scott are also wonderful and always there when you need them. Ready for a personalized healthcare experience, customized for your personal wellness and lifestyle? 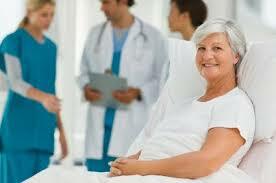 Contact Gulfshore Concierge Medicine today.